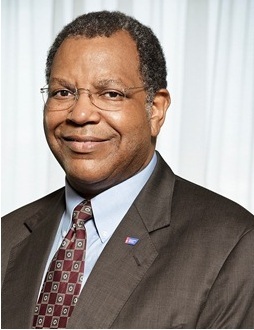 Otis W. Brawley, MD, MACP, FASCO, FACE, chief medical and scientific officer for the American Cancer Society, is responsible for promoting the goals of cancer prevention, early detection, and quality treatment through cancer research and education. He champions efforts to decrease smoking, improve diet, and provide the critical support cancer patients need. He also guides efforts to enhance and focus the American Cancer Society research program, upgrade their advocacy capacity, and concentrate community cancer control efforts in areas where they will be most effective. Further, as an acknowledged global leader in the field of health disparities research, Dr. Brawley is a key leader in the American Cancer Society’s work to eliminate disparities in access to quality cancer care. Dr. Brawley currently serves as professor of hematology, oncology, medicine, and epidemiology at Emory University. From April 2001 to November 2007, he was director of the Georgia Cancer Center at Grady Memorial Hospital in Atlanta, and deputy director for cancer control at the Winship Cancer Institute at Emory University. He filled a variety of capacities at the National Cancer Institute (NCI), most recently serving as assistant director. Among numerous awards, he was a Georgia Cancer Coalition Scholar and received the Key to St. Bernard Parish as well as the US Public Health Service (PHS) Meritorious Service Medal for his work as a PHS Commissioned Officer in the aftermath of Hurricane Katrina. He is also a recipient of the US Department of Defense Uniformed Services University Distinguished Service Award for his contributions to military medical education. He is a Fellow of the American Society of Clinical Oncology, a Fellow of the American College of Epidemiology, and one of fewer than 1,600 physicians to be named a Master of the American College of Physicians in its more than 100-year history. Dr. Brawley is also an elected member of the National Academy of Medicine. Dr. Brawley is a graduate of University of Chicago, Pritzker School of Medicine. He completed an internal medicine residency at University Hospitals of Cleveland, Case-Western Reserve University, and a fellowship in medical oncology at the National Cancer Institute. He is board certified in Internal medicine and medical oncology.